So I’m posting this later than I wanted but I still couldn’t resist sharing it would you. 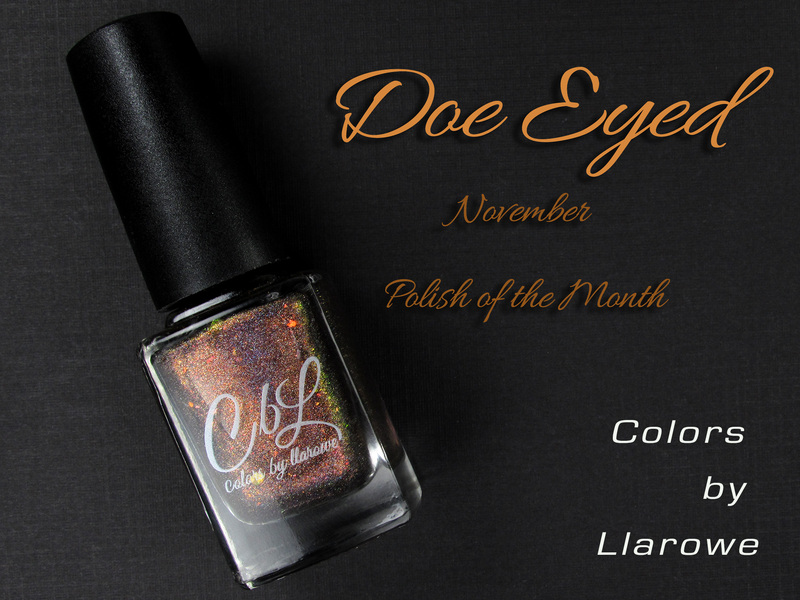 I have Leah Ann of Colors by Llarowe’s Polish of the Month for November, a brown beauty, perfect for Fall! The preorder week has expired for this shade but you should still keep your eyes open for other stockists. Let’s take a look! 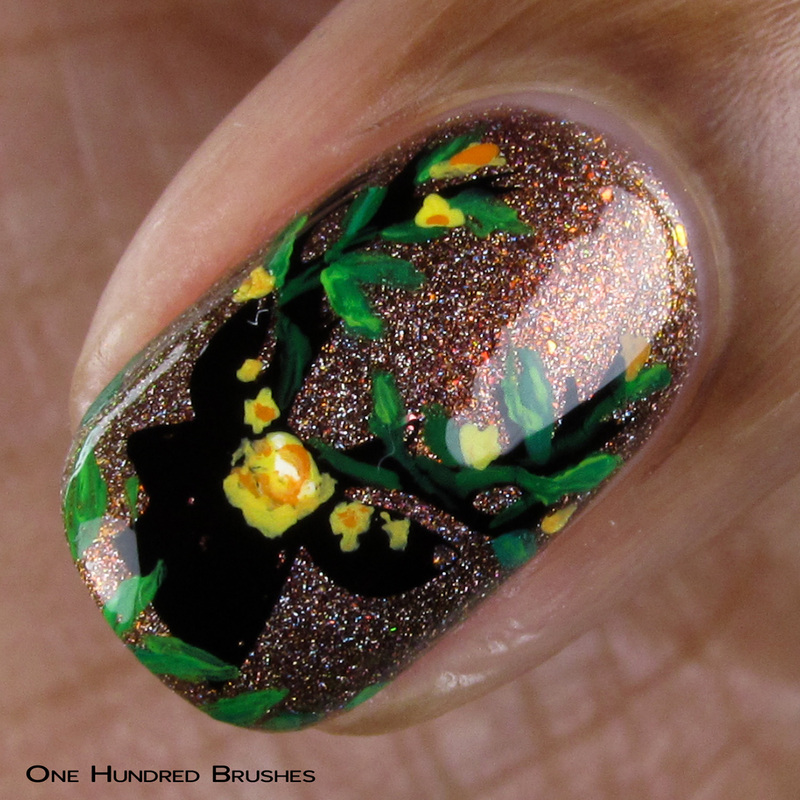 How stunning is this Autumn ready shade?! Doe Eyed is a fawn brown intense linear holographic base with OG unicorn pigment and red to green to gold shifting flakes. 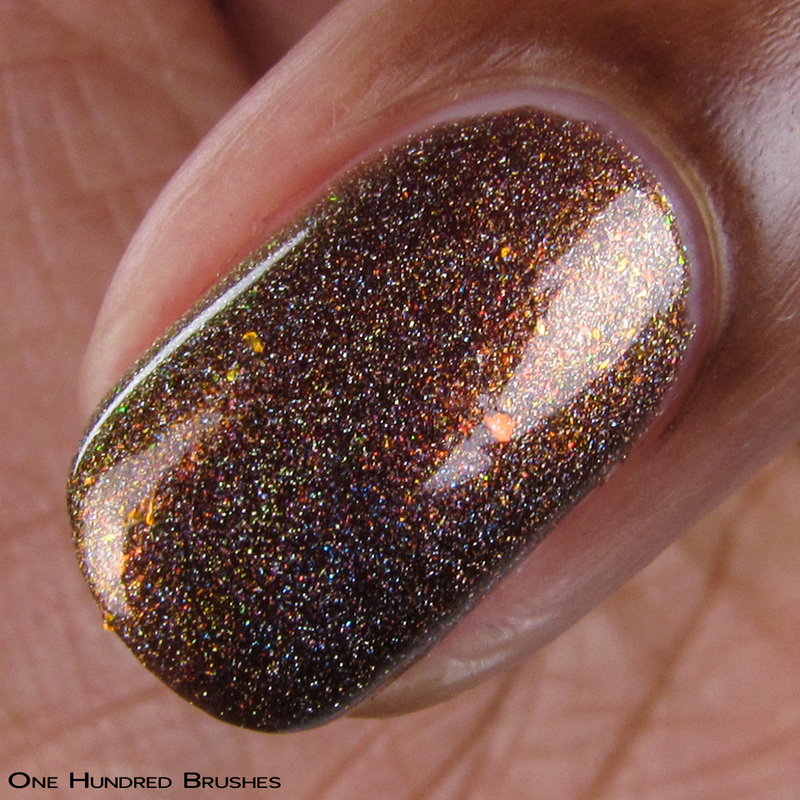 The holographic shift on this shade is insane and is nicely broken up by the flakes. The application is smooth and easy. I’m wearing two coats with a glossy topcoat. 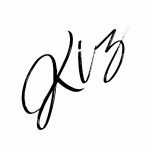 Taking a hint on the name, I stamped on a deer head then painted on some flowers and foliage as a headdress. It was a quick doing but I’m pretty happy with how it turned out. The yellow flowers pull out those tones in Doe Eyed nicely. Available for pre-order from November 1st, 2018 – November 7th, 2018 from Colors By Llarowe!